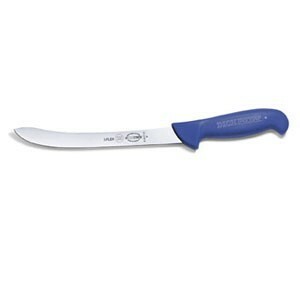 Made with a 6", semi-flexible blade, this knife is perfect for use in butcher shops, restaurants and fresh fish markets. Its blade is made of high carbon steel making it corrosion resistant, sturdy and strong. NSF certified, its plastic handle provides for fast clean-up and sanitation between tasks. It further ensures a secure yet comfortable grip to protect against slippage as well as hand fatigue.